The discussion of the Bellingham Hoard fiasco goes on. On the RESCUE Facebook page, Daniel Spencer responds to Paul Barford Can I add... In light of what we saw in the original video The Searcher Magazine will not be publishing any report relating to this hoard. I must admit, I find that an odd attitude. Why would that be? Because your magazine aims to present a 'targeted' picture of the hobby which makes it look better than it actually is ? Because you' be wary of criticising fellow hobbyists for the way they do things? Would it not serve the case to publish an account and screenshots and get (say PAS FLO) to comment on it in detail and why what it shows is a million miles from the 'best practice' truly 'responsible detectorists' can strive for? What purpose is served by keeping cases of bad practice under wraps? I think some of your readers who'd see nothing wrong with digging like that would find a proper critical coverage a learning experience. And that would do a lot to improve the hobby (and its image). Barakat Gallery is selling a load of cuneiform tablets and foundation nails with no documented history. I am not clear when they went up on Bakarat's website. Are they recent additions? There are 184 cuneiform tablets on sale, no stated provenance, though "the Barakat Gallery has secured the services of Professor Lambert (University of Birmingham), a renowned expert in decipherment and translation of cuneiform, to examine and process the information on these tablets". If so, they've - for some reason unstated - been hanging on to them for some time. Prof Wilfred Lambert died 9th November 2011 (see also here). No dates are given by Barakat for the Lambert opinions. the date when these posts went up is not given, I suspect these were not online when I was researching for my Gudea of lagash cone post a month ago, and it is telling, perhaps, that the page (here) does not at the time of writing have a Google cache duplicate. The descriptions are strong on narrativisation of the objects, but skimpy on the details of 'grounding', where they come from and which came from the same site, and which come from where. Also is nothing is said about whether they've been fired or not. Some of the tablets are pictured upside down. Among the items on sale are as many as eleven Gudea of Lagash foundation nails, presumably arriving on the market with others discussed elsewhere on this blog ('Museum of the Bible Showcases More of its Potentially Dodgy Antiquities', PACHI Saturday, 8 September 2018) that I suggest the evidence strongly suggests are from post-sanctions looting (post 1990) but predating the 2003 invasion. If so, what does this tell us about the origins of the Barakat gallery cunies? Where are the tablets from? Internal evidence shows that one of them is from Umma. Several are said to be from 'Syria', such as this one (LSO.22) that mentions Ur-mes, the city governor of Iri-Sagˆrig. Ur-Mes is also mentioned on AM.0065, AM.0071, AM.0119 (as a messenger), AM.0211, LSO.110 and LK.134, all said to be from the "Eastern Mediterranean" but also CT.035 , CT.026 said to be from "Central Asia" (sic). This is interesting because tablets from this site, apparently first found and looted in 2003, were among those smuggled by Hobby Lobby via the United Arab Emirates and Israel in 2010 and 2011 and recently returned, to Iraq ('Stolen Sumerian Tablets Come from the Lost City of Irisagrig' PACHI Wednesday, 2 May 2018 ). It is interesting to speculate why some of these cunies are specifically said by the seller to be from "Syria". Were they dug up in Iraq in the 1990s, and early 2000s, stored somewhere and then moved to Syria where they obtained some sort of documentation, and then from Syria ("Eastern Mediterranean") sold to dealers who took them west to the UK some time before Prof Lambert died (ie before 2011)? Is that it? Or are the Lambert translations in fact verifiably his? There are fakes of his opinions known to have been in circulation, Lambert opinions are very controversial. Two tablets ( AM.0101 and LSO.109) mention Ikum-Meshar, "keeper of the dogs" and probably came from the same archive (Cf. some of the Hobby Lobby ones). It is interesting to note that the dealer's catalogue numbers do not belong to the same series, suggesting that these items arrived in several smaller shipments (perhaps with the Iraqi incantation bowls the same dealer is selling from his US, UK and Seoul shops). Is this (below) what this evidence is telling us? The origins of material from Lagash, Umma and Irisagrig were obscured by scattering them and taking them through several other ports, before they made their way west between 1990 (2003?) and 2011. 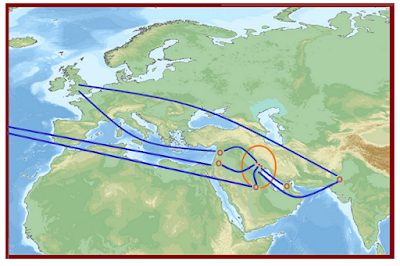 The material was taken via a Syrian route and a 'Central Asian' one to the UK where it was examined by Prof Lambert ? I am suggesting that Pakistan might be the area involved, as Barakat has a lot of Indus Valley objects as well. The Hobby Lobby tablets, including some from the same site that supplied the Barkat stockroom, went through Saudi Arabia and Israel. I've added Dubai for good measure. I am writing something today and just wanted a quick aide memoire about where intrusive intervention in the archaeological record and in particular its Collection-Driven Exploitation (with or without metal detectors) is regulated or restricted by permit systems, and where it is more or less like the laissez faire situation in England and Wales. I quickly knocked up a map (in part initially based on this list with corrections and additions), but realised that since there's apparently not anything like this on the internet, it might be worth posting here. So for what it's worth, here it is, a rough version, green marks areas with liberal legislation, allowing digging, metal detecting and other forms of artefact hunting without a permit, red is where you need a permit. 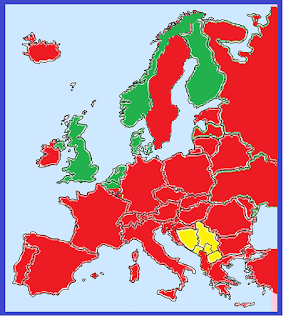 The yellow countries are those where I have not yet worked out what the situation is, though I expect that when I do, they will be red too. It is a little more nuanced than shown here of course (for example a permit system in N Ireland [Update: and see Karl's comments below on the muddled situation of Austrian archaeology]), but this gives a rough idea how it looks. It is interesting to see how all the 'CDE-liberal' countries are on the North Sea and Baltic Sea littorals. Or perhaps its a northern European phenomenon, or somehow related to Protestantism?. 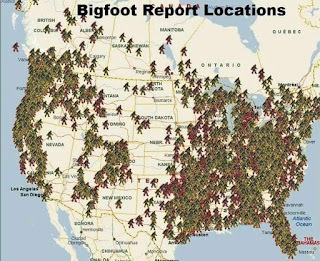 I have been contacted by a couple of people about this map and have decided to update it. The situation as I read it originally was ambiguous in the Russian Federation, where it seems that while known sites were protected, archaeological sites on private land were not and I was unclear on the position over loose artefacts. I have been told that since 2013 federal law No 245 has been passed and this now means that all movable archaeological objects in the ground, on the ground and underwater have been declared by law as State property (regardless of their registration, origin and relation to the known archaeological sites). 'They are not covered by the civil-legal definition of treasure, and therefore must be unconditionally returned to the state bodies under threat of prosecution'. That's good news and allows me to change the colour of the big patch on the right of the map. Another change is that for some reason I had Latvia as a liberal country in the same way, but somebody pointed me to a very interesting document which acts as a sort of Red Book for Latvian antiquities (interesting with regard to the 'Viking' [not really] objects that are still flooding eBay from this region) which clarifies that Latvia's colour also needs changing on my map. It turns out that Luxembourg has a permit system. Albania's legislation is a bit unclear to me, but it seems art. 33 and 41-2 of this 2003 law (9048 for the cultural heritage) means artefact hunting is subject to a permit system too. I am struggling a bit with the five Balkan states. Bosnia and Herzegovina has a permit system for excavations on archaeological sites, but I cannot determine whether this also replies for searching for archaeological material where there is no known site, probably though this is the case. Mention is made here (National report on the implementation of the 1970 convention on the means of prohibiting and preventing the illicit import, export and transfer of ownership of cultural property) however of the problem that reporting finds is not mandatory, so the situation remains unclear. The situation in Macedonia, Serbia, Kosovo, and Montenegro is unknown to me. I'd be grateful for more information to help me fill in the empty areas on this map. 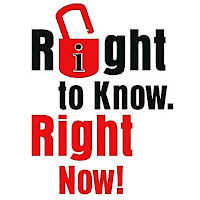 Today is International Right to Know Day. Who, apart from me, has some questions for the PAS about the real extent of their outreach compared to the degree that would be required to have successfully dealt with the damage being done to the archaeological record of England and Wales by its Collection-Driven Exploitation? 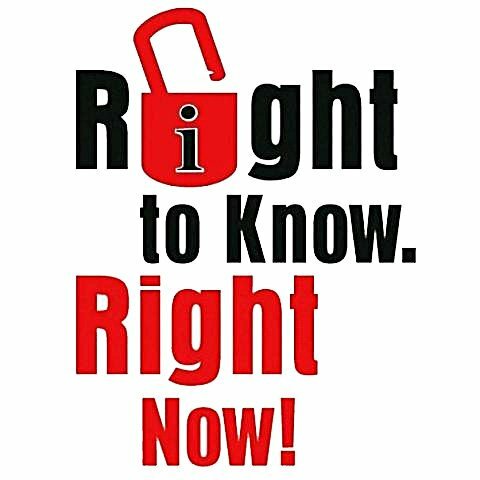 We do have the right to know what really is happening to our archaeological heritage on their watch. The US Embassy in Cairo has just concluded a week-long "Heritage Protection" workshop that was held in partnership with the Ministry of Antiquities on how to protect cultural property and investigate illegal export of antiquities (Mirna Ashraf, 'Ministry of Antiquities takes advanced steps to protect heritage' Sep. 26, 2018). the workshop was run by trainers from the US Department of Homeland Security, the Federal Bureau of Investigation (FBI) and the US Department of State's Cultural Effects Task Force and was attended by officials from all over Egypt. In Nov. 2016, a memorandum of understanding was signed between the two countries on the protection of cultural property, as well as training and professional cooperation. The agreement imposes restrictions on the importation of certain categories of antiquities from Egypt to the USA , and provides a legal basis for the United States to close its markets for the illegal artifacts from Egypt. We all know how large a role Kossinnist distribution maps play in the kinds of retro-archaeology the PAS encourages 'researchers' to do with their 'data', and this is one example of the use of this methodology to interpret social phenomena (and you have to think a bit harder to get to the real significance of why I am using it to make this point). And there's not many Mexicans reading this blog, either. continues to be the most persistent illegal trade in the world". Members of the European Parliament want to put an end to the illicit trafficking of cultural goods from outside the European Union. Proposed measures to stop the illegal trafficking of cultural goods were approved today by MEPs on the International Trade and the Internal Market and Consumer Protection Committees of the European Parliament (European Interest, 'EPP: Stop the black market of cultural goods' September 27, 2018). With the exception of two specific measures for Iraq and Syria, there is currently no EU legislation covering the import of cultural goods from third countries to the EU. In the new rules, there will be a common EU definition for cultural goods in the context of import and a certification system to guarantee the legality of the imported cultural goods. Jarosław Wałęsa MEP, the EPP Group Shadow Rapporteur on the International Trade Committee, said: “We need common rules on trade with third countries to ensure effective protection against the loss of cultural goods, the preservation of cultural heritage and the prevention of terrorist financing through the sale of looted cultural heritage to buyers in the EU. Today we made a first step towards a well-balanced legislation which will protect cultural heritage while enabling the concerned stakeholders to keep trading without barriers.” [...] Apart from archaeological objects and dismembered monuments over 100 years, regardless of the value, a large number of low value and other less vulnerable goods will not be concerned by the new rules. The EPP Group achieved its proposal to include the existing ‘red lists’ of the International Council of Museums to apply as an additional filter for the categories requiring an import license in order to ensure that only those cultural goods which are endangered by illicit trade are affected. About time too. 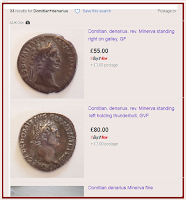 - now all those UK metal detectorists simply looting sites and then popping coins and artefacts into envelopes and sending them to other European countries will have their packges stopped, and the buyers will have a problem if the papers are not in order. Leave mens Leave, tekkies. It is good to see European metal detectorists taking stuff from archaeological assemblages described as 'looters' by the National Geographic (Andrew Curry, '3,500-Year-Old Hand is Europe’s Earliest Metal Body Part' National Geographic 27th Sept 2018). Perhaps they learnt something from the social media discussion of 'Nazi War Diggers'. 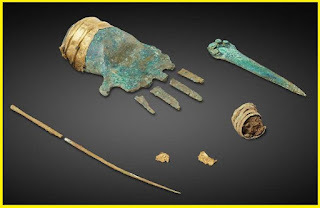 Swiss treasure hunters using metal detectors searching a site on a plateau near the tiny village of Prêles above Lake Biel in the western canton (province) of Bern, found an odd bronze hand, a bronze dagger and rib bone. They turned the finds in to authorities. Sadly, collection-driven exploitation of the archaeological record has taken its toll of the knowledge this site could have given. Metal detector users dig blindly, cannot record what lies outside the small keyhole hoik holes they dig, and many artefact hunters (even if they were as interested in adding to the historical record as they claim) lack the skills and experience to properly observe and document the context of deposition of the objects they hoik. Some of them can barely write a coherent sentence, let alone a report of what they did on a site. 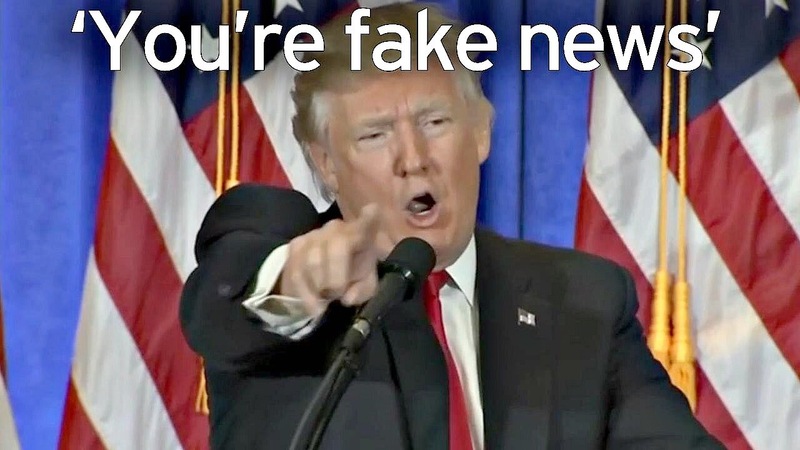 Fake News? "You woz Done M8"
The FLO informs RESCUE members that my blog is a sea of fake news wrapped in layers of falsehood. The same FLO tells the same group that he has ensured that all the coins from the Bellingham Hoard will be handed into the Coroner to begin the Treasure process. Really? One would like to know the source of this confidence. Baz Thugwit was on the "Scotty Bellingham Dig" with his Garrett. The moment he saw a mechanical excavator trundling across the grass in an adjacent field, he realised something was up and ran over to where it was headed. There his mate 'Beergut Bill' was already digging. Baz quickly joined the gaggle of people that had gathered and thus was one of those joining in the chaotic free-for-all we saw on the video. Baz in fact found two denari in a single clod in a heap of earth dumped on the edge of the piles of dirt around the ragged hole. At that moment, the attention of all the other diggers was on 'Dirtbag Dan' who'd been slightly bruised when his head came in contact with the digger bucket (nobody working by the machinery was wearing a hard hat or hi-vis clothing). Dan was OK ('hard Geordie head, that Dan') but Baz thought that if he broadcast his find, the others would be there like a shot, and if there's two coins in one clod of earth maybe there's more. 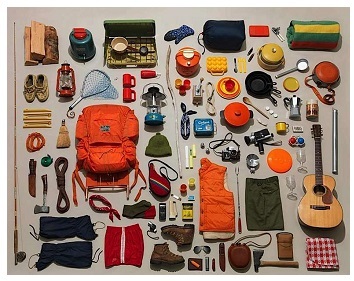 So, quietly palming the two items, slipping them into the back pocket of his jeans, Baz calmly and methodically searched the rest of that pile. 'Wot'ch yeh got Baz, found sumfink over there?' shouted over SkunkySimon, and twenty pairs of eyes stopped scanning the clods and turned enquiringly towards him. 'But keep looking mate', says Dan, hoping Baz will stay where he was and not infringe on the bit of the pile he'd chosen for himself. 'Thanks mate, bye', says Baz, then raising his voice 'bye all!' before he turned and walked wearily across the grass to his waiting van. He drove away into the setting sun, took a left at the end of the road, checked the GPS in his phone and soon was on his way back home. In the chippy 45 minutes later, he was seated at a table in the corner, hoping his muddied boots would not draw attention. While he was waiting for his order, he took out the two silver coins and looked at them more carefully, 'Domishin' he thought. He'd got two, one from that weekend rally that he was at the day his wife left him. 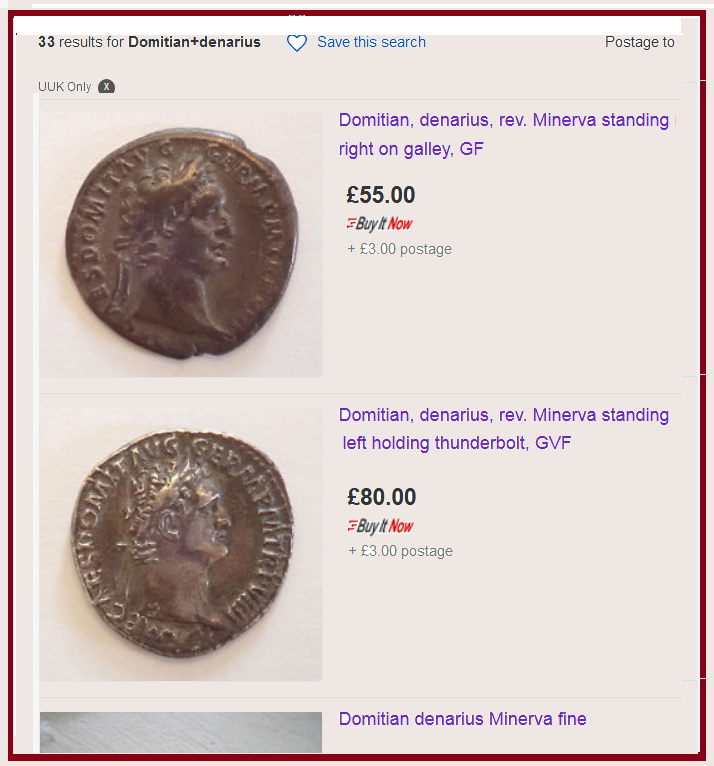 He pulled out his phone, and went to eBay and searched for similar coins: 'Domi...'. the prompt told him the correct spelling and he found a number of them on sale. 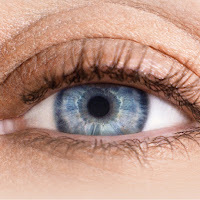 On some bidding had not ended, but his eye was caught by two that looked to be in the same condition as his. One had a 'buy it now' price of 55 quid, the other, closer in appearance to his, was selling for eighty quid. Eighty quid. Baz then went to the Club's Facebook page. It was dark outside now, but Baz wondered if somebody had stayed overnight to safeguard any coins missed in the scrabble from 'nighthawks'. It did not look like it, but Scotty said in one of the posts that they'd got the police in to do that job for them. Then he read a post on the club page from the FLO who was saying that he wanted all the hoard coins handed in in the next few days. Then there was another post, a smarmy bloke from the NCMD reminding club members what the rules are and warning that because of the way the hoard had been dug up, the authorities would probably cut the reward money. Crikes. 'Eighty quid' thought Baz. So half of that goes to the landowner, so I'd get forty quid for mine. But then the judgemental NCMD spoilsport had said the reward would be lowered... do they do that before or after splitting off the farmer's split? How much would they lower it? Ten percent, thirty, fifty maybe? How dare they? 'They' are not the ones doing the hard work finding the thing, bloody hard work digging out there in the sun all day. How can 'they' dictate to us how we should dig, those jumped-up ivory-tower desk-potatoes. Suppose he handed them in, he'd lose forty to the farmer, and then have the officials down in London cut his share even further. He'd be lucky to get twenty pounds a piece (his order came then, he checked he'd got his extra mushy peas, and carried on thinking as he ate). He remembered he'd read in the Mail about a hoard where there had been a lot of folk involved in the excavation on a rally, but only the guy that actually found the first coins had split the reward... but surely that's not the case here, they are all mates in the same club, after all. They all found their own bits of the hoard. Then Baz with a sinking stomach realised that he'd not checked that his name was on a list of people that had added their finds to those already in the supermarket carrier bag that SkunkySimon was keeping to hand to the FLO, or coroner, or whatever he'd said. But Skunky would remember that Baz had been there, surely. Wouldn't he? He and his mates surely would not still be holding against him those drunken remarks about Skunky's wife he'd made at that rally three months ago. It was only a joke, Skunky and the lads just did not get the joke, and he said sorry... But then he realised he'd lied to his mates while he was there that he'd not found any coins. Awkward. If he handed the coins in, could he prove to any court that he'd found his coins as part of the hoard and not in another place entirely? If they were splitting the dosh, can he show the court that he was part of Skunky's inner group working on the hoard if he was not on the list. Anyway, he did not see any list. In any case, he was a bit unsure about appearing in a law court, some old bad memories there... If he gave the coins in, he might if he's luck get forty quid for the two of them. Or he might get nothing at all. No reward for the time he spent going there, the time and work he put into the dig. Baz finished his pie and chips, wiped his hands on his jeans, and took a bit of the chip paper and carefully wrapped up his coins in it and slipped them into his pocket. A hundred and sixty quid. Then there's that brooch he found over by the paddock, and he's got a few bits he did not want for his collection, and he'll get rid of that other Domishion, it has bad memories. Maybe in a few weeks he'll do a discrete few little auctions on EBay or Facebook, and nobody will know any better. As for the metal strip, well, the archies are welcome to it, exploitative buggers. FLO Woodward will say the above is "fake news", real metal detectorists do not act like that. Baz Thugwit does. How many Baz Thugwits are there in UK metal detecting? What value is the 'record' of a find'd context of deposition and context of discovery produced by such collecting activity? Some coins will not appear in it, pocketed by the Baz Thugwits. Other items have been added to the assemblage, through the thoughtless actions of a Baz Thugwit who sees nothing wrong in removing and adding items to the archaeological record. The story above is of course fictional, but I challenge the 36 PAS FLOs to produce evidence that the type of scenario it represents could never and does never happen. Bellingham, PAS: "Don't worry, it's all in hand". Really? The video (which has now been removed - apparently at the suggestion of the FLO) on the 'North Of The Tyne Detecting' facebook page showing pretty stomach-churning treatment of part of the archaeological resource by PAS-partner metal detectors was so bad, it even attracted adverse comment from metal detectorists. Two days later, a FLO was dispatched to the scene and sent this report to the Facebook page of Rescue where this unhappy situation was being discussed. Benjamin Westwood Don't worry Andy Holbrook, it's all in hand. Yes, the use of the excavator was pretty poor, but was done without the organisers knowledge or consent. All efforts were made to get archaeologists on site as soon as possible. All the hoard related material has been reported, or is in the process of being reported. Nothing is being lost. All other material from the event will also be recorded. The organisers realise that things could have been...better planned, and have learned a lot from this process. Appropriate advice, and guidance has been given, and despite the best efforts of some individuals, there's a good relationship between the PAS and the organisers. The more general problems and shortcomings of present policies for dealing with Collection-Driven Exploitation of the archaeological record in England and Wales highlighted by the Bellingham fiasco are obvious. I asked the question earlier, what is the FLO to do? Obviously a robust response is needed. So let us take acloser look at what the visiting FLO says he's done. 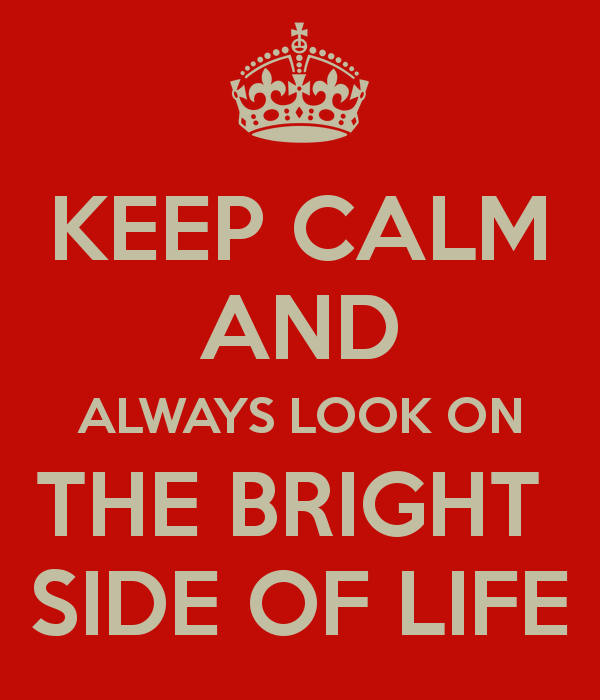 1) There is no need to "worry" he says. Why? Was this video not worrying enough for him? Is what is meant in fact nothing more than "lay off these guys, they're our friends, we should not criticise what we saw in that video because it might upset them"? 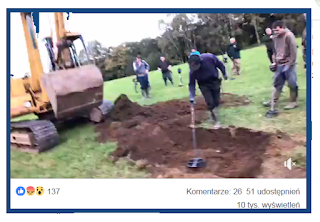 2) the language used by the FLO among archaeologists presumably mirrors what he said on site: did he just tell the guys seen doing this "the use of the excavator was pretty poor". Poor. The rest of us thought the way it was being used was atrocious, but hey, he's talking to tekkies, and apparently you have to talk to them like they were eleven year olds, or these grown men will get "upset". 3) We should remember, he says, that using the excavator ("poorly") "was done without the organiser's knowledge or consent". Eh? The machine was the landowner's, the landowner does not need Mr Scotty Bea's "consent" to trundle it across his own field. The fact that the organizer responsible was not on the site when the machine work began and did not know what the people he was responsible for is of course one of the criticisms of the whole event (and this is more than just a "poor" showing). 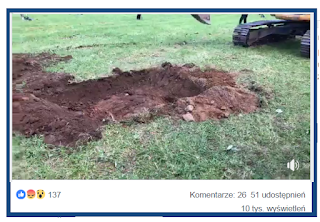 4) Maybe 'all efforts were made to get archaeologists on site as soon as possible' AFTER all the stuff had been dug out, but once the damage had been done, the damage had been done, whether or not archaeologists come and belatedly ruefully gaze at the rough scatter of soil around the hole. 5) "All the hoard related material has been reported, or is in the process of being reported". Eh? How can he know it has all been reported (to whom, where, when?). The only evidence he can go on is negative, "Tommy my old mate, did you find a hoard coin at Scotty's dig? ", "Me? No guv, never found nuffing". Is in the process of being reported? Either a finder admits to having a coin from the hoard or he does not, he cannot be in the process of admitting, it's a yes/no dichotomy. 6) "Nothing is being lost". Knowledge has been lost by the fact that whole thing was excavated as it was. We read that in digging down, the soil changed colour. No pot was found by the hoikers, but were there traces of a cloth bag? Was the hoard in a pit or ditch or deposited on an old ground surface that was later covered with a levelling layer? Was it deposited in a timber building or near one? 7) 'All other material from the event will also be recorded'. How can the FLO know this without the gift of prophesy? Recording is voluntary, isn't it? Many of the finders live well away from Mr Westwood's patch (which is Durham, not Hexham) so how can he assert that. 8) 'The organisers realise that things could have been...better planned, and have learned a lot from this process'. It is a shame that before embarking on this escapade they did not think out the planning, and place contingency plans in place in the case of something like a hoard being found. This is not the first rally/club dig that has ever been held in northern England. So why are the "organizers" content to learn by their own mistakes, at the cost of trashing a site, rather than just finding out beforehand how to do what they set out to do? 9) 'Appropriate advice, and guidance has been given', a bit late after the event. Surely the PAS should be giving out the advice on best practice and making sure it is heeded and its importance understood before, not after such an event is even conceived by its organizers. That is its mission. And really, has it ever given out INappropriate advice and guidance? 10) "despite [things like this happening], there's a good relationship between the PAS and the organisers". How does one define a 'good relationship' when the local heritage professionals cannot STOP a disaster like Bellingham happening? In fact, what we see here is not a reflection of the kind of pro-active response that dealing with such atrocious treatment (after twenty whole years of multi-million pound outreach) actually requires. All along here, words without meaning are used to try and convince onlookers that everything is (now) under control, now the PAS cavalry have arrived. Apparently, it is not the culprits' fault. We are told that nobody had explained to them what to do, they'd only accessed 'inappropriate' guidance before the FLO came along and at a wave of his FLO-wand turned irresponsible ill-informed detectorists running around like mad things, to staid, sensible and fully informed "responsible detectorists". Next they will be shown how to observe, interpret and document the context of deposition and discovery of the finds and related soil phenomena they dig through in their search for collectables. What actually the FLO is doing here is creating one of the many smokescreens that are used by artefact hunters and their supporters/partners to defend a status quo. That status quo, involving taking little or no action on Collection-Driven Exploitation of the archaeological rcord in general, is a comfy one for those who believe in it. For the rest of us it is allowing massive archaeological record (heritage) damage to take place under our very noses. The Bellingham fiasco is just one of many similar events that happen week after week, all over the country, what is the overall scsle of the loss? We don't know. What we do know however is that the PAS is deliberately not rocking the boat. Their Head co-authored a paper attempting - without proper analysis and supplyiong their own official figures - to trash Sam Hardy's estaimates of the vast shortfall between what the PAS record, and what needs to be recorded before we can consider that the PAS is achieving what it has been (Donald Trump-like) telling us all along (as here) it is doing with great success. In this post we see the Durham FLO papering over the cracks, when the Durham FLO should be highlighting to the general public (the one that pays for his office) the problems caused by current public policy on artefact hunting. 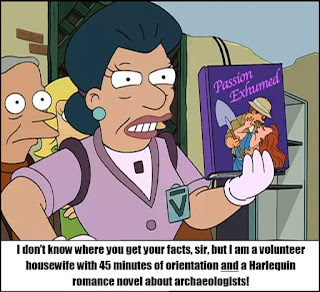 As an archeologist, the ethics of his profession require him to promote the preservastion, not destructive and undocumented exploitation for personal entertainment and profit, of the archaeological record. Telling us all glibly that in one visit he has alreadty done done what, it seems to me, he has not actually achieved, smacks of wishful thinking and a desire to capitalise on what he imagines is the naivity of his readers. "Don't worry, it's all in hand", he writes. No it is not, artefact hunting in England and Wales has got well out of hand and UK archaeologists are complicit. Benjamin Westwood Benjamin Westwood The UK does comply with the Valletta convention. The argument that it does not is just polemicism by Paul Barford and others with a clear agenda to divide the archaeological community and the public by spreading more fake news. In England and Wales, as I said in the point to which the FLO is replying, there is no legal instrument to comply with Article 2iii of the Valletta Convention. That is a fact, not "fake news" (and it is hardly likely to bring the nation to its knees if the British public turned against metal detectorists and those who support them). Comments such as that are simply ridiculous and show the extent of the fantasy-world of the supporters of collectors. The Durham FLO's comments make those raising concerns about artefact collecting sound like the Trumpist conspiracy theorists' worst nightmare! On what basis do you throw out such strange and unsupportable accusations? Why is it "divisive" to suggest that there are perfectly valid archaeological grounds for raising issues that exist within a policy towards the archaeological record, pray tell us. Tell me why in fact, as archaeologists on this FB page [remember, this was on the page of RESCUE], we cannot unite under the idea of protection of the archaeological record from deliberate destruction, dismemberment and knowledge theft by collectors? Who here is being "divisive" if not the lost souls (Ixelles Six and the ilk) who say looting is not damaging? What is the international legacy of the PAS in this regard? Benjamin Westwood It's interesting that you raise the spectre of Trump in your response, as this is exactly how i would characterise your blog: a mirror image of the alt right/left blogs that have sprung up of late where a nugget of real and worthy news/facts are wrapped in layers of polemicism, misinformation, and often outright falsehood, while purporting to be the 'real' news in a sea of fake 'MSM' news. When, of course, the exact opposite is true. Wow. This blog is a polemic, yes, with those (FLOs included) who stand idly by and try to convince us that everything is more or less OK, while artefact hunters, dealers and collectors trash the archaeological record. 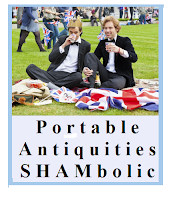 So yes, among other things, it is a polemic with the intellectual (I use the term loosely) legacy of the Portable Antiquities Scheme in England and Wales and all, globally, that support it and see it as some kind of (and more often than not, the only) panacea for dealing with the damage caused by the collection-driven exploitation of the archaeological record. There are other polemics too, with dealers, with the American ones in particular and the weasel words of their lobbyists. 'Polemic', I'll own up to. 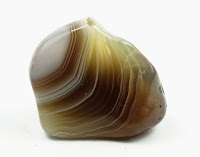 This blog has a weltanschauung firmly based in what I believe to be the role of the professional archaeologist in striving for the preservation of the archaeological record and indeed (as I see it) the discipline itself. As for the rest of this guy's accusations, in my writings here and elsewhere, I try to provide links to where I get my material from (if any links are missing it is oversight rather than intent). I count therefore on the intelligence of my readers to be able - rather than taking my word for anything - to check for themselves what I say against the sources, think around what I write. I really do not expect anyone to believe what I say just because they read it here. In fact, I am not particularly interested in a readership that would behave in such a way - that's not who I am writing for. In my opinion, there is too much intellectual passivity in certain sectors of the heritage debate, too little joined-up thinking. So, I can confidently leave it up to the reader to decide what this blog represents (apart from my personal presentation of my personal views - to which I consider I have every right). A bloke in Durham says what this blog contains is (like) one where (correcting his grammar slightly): "nugget[s] of real and worthy news/facts are wrapped in layers of polemicism, misinformation, and often outright falsehood, while purporting to be the 'real' news in a sea of fake 'MSM' news". If you agree with Brother Benjamin from Durham, tut and move on. Don't bother with reading what I say here if you think I am wasting my years composing asnd publishing 'fake news'. In the sidebar to the left are a lot of links to other heritage blogs including those with an opposing view to mine (I must update it, not all have lasted as long as PACHI). I hope though that some of you at least will conclude that on the whole I write sense, and that you'll admit that there are real issues, even if you do not agree with evertything I say, or the manner I sometimes choose to express what I think. You are free all of you to comment (note my guidelines, it's my blog) to correct, protest, or start your own blogs. The more, the merrier. Anyway, my blog is coming up to two million hits, which for such a niche interest is not bad. It seems not everybody agrees with Mr Westwood. Found Treasure? "FLO Will Help You Out Properly"
That only shows the depth of knowledge of the 'organizer' of this shambles of the Treasure Process, and also the role of the FLO (whose name is Andrew Agate). I wonder who will explain them to him. Amazing, all recorded, eh? Can somebody explain to the guy the difference between the Treasure Act and PAS. Preferably the PAS itself. That's what the FLOs are paid for. As I said, it is just plain irresponsible of these people to start something like dismembering an archaeological site without actually finding out what they are supposed to be doing, and are obliged by law to do. PAS database: Where are the Checks? 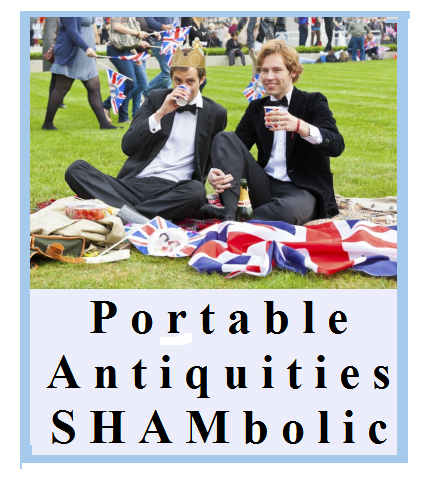 This year marks 15 years of the Portable Antiquities Scheme as a national scheme. Throughout the year we’ll be celebrating finds from each county – a find a day for the whole year! Yes, an exclamation mark. And one of those finds, naively presented, raises an important question about the PAS 'database'. Somebody can point me, I am sure, to where this important issue is actually explicitly discussed by the PAS. [...] John Taylor from the department of Ancient Egypt and Sudan at the British Museum believes it to be genuine. 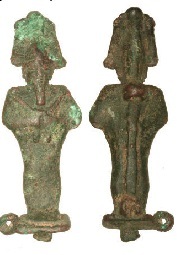 He suggests that 'there are many very close parallels for this type of image of Osiris, as they were made in thousands as votive offerings during the Late Period and Ptolemaic Period (seventh to first centuries BC)'(pers. comm.). He sees many very similar figurines as they were extremely popular with collectors during the late 18th and 19th centuries and this probably explains why the object was found in this country. This was found by an unknown person at an unknown place 'to be known as: Upper Cheddon', has a 'grid reference accurate to a 100 metre square' and was found with a metal detector on 'cultivated land'. The PAS record has a reference to another (do read the description HAMP-420491 "How this item came to be in a Hampshire field is a mystery! "). The point is the statue of Osiris is recognizable as an out of place artefact, a modern contamination of the archaeological record. Note though that the FLO Ms Anna Booth categorizes it as "IRON AGE Date from: Circa 700 BC Date to: Circa 1 BC"
This raises the question of, where the finds are non-specific, what actually are we looking at when presented with decontextualised artefacts on the PAS 'database'? How many of them are 'planted', or strays from modern processes (such as seeding a rally site with material bought in bulk from eBay), or a collector's losses as in these two cases? How can the record of what someone says he found somewhere (but with no documentation verifying it, such as a protocol of transfer of title from the relevant landowner) be in any way trusted? "Scotty's Bellingham Dig": What is a PAS Liaison Officer to do? I hope you agree that what is shown by this candid account on a club's open Facebook page is a million miles from the 'best practice' million pound outreach by the PAS and CBA have been trying to attain for several decades now. According to the facebook page, the FLO was due to visit this site today. I would like to ask what was said to the organizer in this case and how this matter will be taken further. I would also like to know, in the light of the organizer's plea, what steps are being taken to identify those present around this findspot during this digging and to retrieve other objects from the hoard that were removed without being handed in, and what will be done after the statutory 14 days are up. Quite obviously, the 'best practice' message is just not getting through after all these years. If you look at the detectorists' comments on the facebook page, they are (after twenty years of PAS public outreach) TOTALLY unaware of the issues and what they did badly and could have done differently. They simply lightly dismiss concerns as due to ‘haters’, with no awareness of what is being said about the situation and why. In particular, I'd draw attention to the comment "It even states on the FLO website that you don't have to wait for them as long as they are informed afterwards". Really? Do you say that? Are you sure that your outreach is presented in a way that facilitates being understood? Why is there NOT on the PAS website a section about how to secure a sensitive findspot overnight for later more systematic recovery? Did PAS learn absolutely nothing from the Lenborough Hoard farce? When are you people going to get serious about the job of getting real, palpable, best practice results from the entire metal detecting community? And if you cannot, when will we all admit it and when will this farce STOP and we start thinking about how archaeology should instead respond to the serious erosion of the archaeological record through its willful Collection-Driven Exploitation? How many more decades will you let this go on with smokescreen puff press, a shoulder shrug and avoiding confrontation? I think it is beyond time this question was actually more widely debated. I have already copied this to Mike Lewis and Mike Heyworth (and also my co-author Nigel Swift). I got an automated reply that includes 'Please note that I work part time Tuesdays to Friday', so a metal detecting event taking place on a Sunday cannot expect any FLO support until Tuesday (Mr Bea's "flo will be there 25/9/2018" seems therefore to be a lie - nothing was agreed with an FLO in hospital. Likewise is the claim that the hoard site was guarded by policemen all night a false statement engendered by agarandisement and the fantasy world some detectorists inhabit?). Before anyone else dislikes [this video], it was some of the participants who first heard [of this find]. The organizers and myself were not told about the discovery until I got there and the landowner was [already] there with a mechanical excavator. Personally, I would have dug it a different way, but this was not my hoard find. People tend to dig things in different ways. Nothing however was damaged et cetera (sic). [The find] was more like a scatter of 26 coins in one place [than a discrete hoard]. The FLO kindly agreed to come on 25/9/2018 and look at what we have done . I reported it as soon as it was discovered, well done Mark. In other words, the 'organizers' were not organizing anything, finders were going wild and they were not even there. 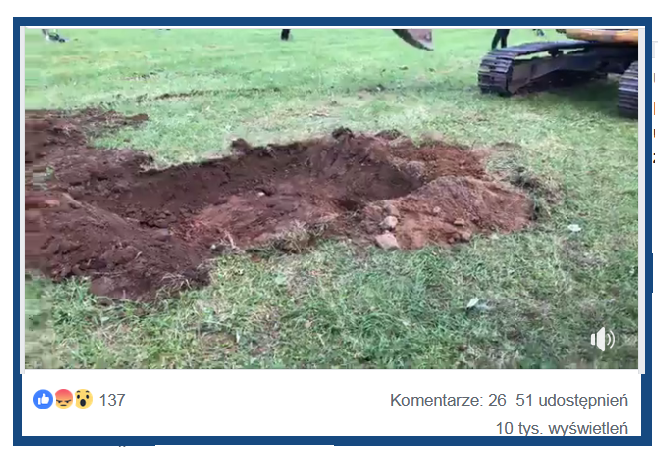 There also obviously was nothing in the landowner agreement about how an important find would be dealt with (clue: no antique mechanical excavators, use a specific best practice methodology to record the context of deposition). Scotty Bea Only two people handed three coins back that’s all mate if any one els found any a would like them to get them recorded and state to flo were they were found so they know that possibility there from hord so all the history gets kept to gather and once recorded see what flo do buddy that’s all. Scotty I wouldn't even worry about the haters. Absolutely amazing day and for the lad to find a hoard. What a feeling that must be. It even states on the FLO website that you don't have to wait for them aslong as they are informed afterwards. I'm pretty sure everyone who attended today had an amazing experience. NOW pull your finger out and sort another haha. This "FLO website" dun' state antyfink loik tha' tompy my M8. thas' jest bollicks innit, like? These 'haters', are they people who write, 'hey great stuff guys, hoik it out, FROW the earth around', or are they the people expressing concern that what they all too clearly see here is a thousand miles away from anything that in anyone's remotest dreams could be considered any form of 'best practice'? Would Mike Lewis of the PAS fall into the category of 'lovers' (of this kind of thing), or be considered a 'hater' if he did open his mouth and say that this is not quite what the PAS supports? Will he? What about the FLO who was there today? Will he say anything? I think this whole thing shows that the worst detectorists are brainless and virtually illiterate, which we and PAS always knew but no-one is supposed to say. And how many actually are literate and bothered enough to be able to comprehend what PAS 'outreach' is (supposedly) paid to teach them about 'best practice'? PS By all accounts, there are a lot of people on that Facebook page "gutted" about this and that, the North Of The Tyne Detecting Club must be a pretty gutless lot by now. But the point that the organizer was not actually in control of the event he was 'organizing' is what is at issue here. This should never have happened, and instead of hiding the evidence that (once again) something like this happens, surely (really) responsible detectorists (ARE there any?) would be discussing how to prevent it. Ferrit Mreoo Where there is success there is those that scorn. The big finds will sort themselves out. Its the people that only find a little that appresiate you organising the dig as we have no land to search on or land with very little on it. Keep going Scotty Bea and try not to let them ge to you. Surely an awareness that it might be that 'all that was open on the Sunday at the end of the day' would be the BM, in the centre of a city 422 km to the south would be good reason (if the event could not be held on asnother day to facilitate getting expert help when needed) to create contingancy plans. The site should have been secured (the methods of doing so determined before the event itself started) and contact established with organizations able to help in the event of a sensitive find being made before the event started, not subject to some panicky late afternoon emergency telephone call. All participants in the event and the landowner should have been briefed about what would happen in the event of something being found that needed more systematic recovery and recording. The only emergency here was caused by bad planning by those responsible (that seems to be you Mr 'Scotty Bea'). It is not at all the case that 'no one tells you what to do until it is to [sic] late'. There has been a discussion of this every time something like this happens. Securing a site and not ruining it is not rocket science. And THAT actually is on my blog, Mr "Scotty", but to find that out, you have to read it. Read before you dig. 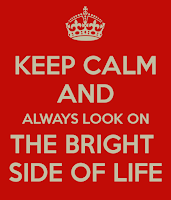 In order to resp[onsibly do something, anything, you first of all have to know what you are doing, and be sure before you start that you can cope with any resultant problems that crop up. They get up early in Newcastle, obviously. The garbled post ("proof that I woz not their when the digging startid") to which my link led has also already been hidden... showing once again how these so-called 'responsible detectorists' respond to what they are doing being discussed. This is annoying as I wanted to link to two comments underneath it, one of which described how, after they'd been digging haphazardly for a while, 'the colour changed' and there they found more coins in a more discrete group - and from the lack of potsherds assumed the hoard had 'not bin in anyfink'. apparently the notion that they might have trashed traces of a cloth or leather bag, or decayed woodemnn/bark container did not cross their illiterate minds. It seems to me that what they are reporting here is the penetrating of the ploughsoil by the digger bucket and deeply digging blind into underlying archeological deposits. What will the FLO say about this? Archaeology (Really is) Not So Much About 'Things'! Someone needs to tell the Ixelles Six and all those other artefact-collector head-patters and back-slappers. I was talking the other day to somebody about the big rallies that are taking place in England this summer and this is what they told me. The amount of money floating around these ventures is huge. For a large rally the cost would be £25-35 a day, times by, say, 500-1500 detectorist attending at these large gatherings, you're looking at a lot of money (upwards iof 11-12000 quid often). On top of the entry fee there is income generated for the organizers by the trade stands. The tax due on this, at 20% a go, apparently never gets collected. The fees paid to farmer/landowner are usually money in hand, and it is unclear whether the tax is paid on this income either. The groups organizing these events are not obliged to produce financial reports. Taxpayers lose out three ways, first it is their heritage that is being pocketed in this commercial knowledge theft, secondly a lot of the organizers are believed to be tax dodging, thirdly if the public wants something/anything at all salvaged, it has to pay millions for an inefficient PAS. And of course the portable antiquities pocketed by each and every participant if they return home satisfied are not without value in themselves. Each and every one of them can, and probably will, be monetised, either by the original 'finder' or his/her heirs. And where does the tax from that income made by these culture-thieving creeps go? Who can check who was there, what they took and how much is realised when it is sold? The Ixelles Six/Helsinki Gang? Shambolic. If we multiply that by the total number of all the commercial rallies and 'club digs' that happen all year around and we are talking substantial sums of money and substantial commercialised heritage loss... and that does not matter whether the organizers call the rally a 'for charity' one or not. We all know the utter hollowness of that claim. This itself is a misnomer, as the rally organiser/s take their cut first, as 'expenses'. The aim of calling it a charity event is to suggest that their self-centred and acquisition-focussed attendance at such a commercial event 'has somehow benefited someone else, and somehow placated their conscience when removing the ever decreasing material culture, creating 'black holes' in the historic record....'. When are archaeologists going to get up off their butts, pull their proverbial finger out and start looking at this despoliation and call a spade a spade? To pretend nothing is happening and continually fail to take a closer look is simply intellectual laziness and professional sloth. Who says that culture-thieving creeps do not read this blog? A few weeks ago I commented on Jonny, Stephen and Colin Philip's "not-in-it-fer-the-munny, only intrestid in the 'istry mate" 'Facebook Auction Your Detecting Finds Club' (Price it, Auction it, Sell it, Collect it, SOLD). Here is my text on this open group 'nice little earner' sales pitch. Did you see it, dear Reader while you can? If not, following the link today will not enable you to see what its several hundred members are doing with YOUR historical heritage. It is apparently now a 'closed group, Nur für Detectorists'. For all we know, its 2378 members may now be using it to price, auction, sell some illegal or otherwise dodgy material (undeclared Treasure finds from the UK, material recovered from WW2 plane crash sites without a permit, shipwreck material, metal detected finds made illegally abroad and smuggled back to the UK, objects taken from a farmers land that has no documentation verifying that it was done with the landowner's knowledge) and because they've closed the group, nobody will be any the wiser. Without full transparency and accountability, there can be no talk of 'Responsible Artefact Hunting'. This again is simply knowledge theft in its purest form. See for example also: Amr Al-Azm, Katie A. Paul, 'How Facebook Made It Easier Than Ever to Traffic Middle Eastern Antiquities', World Political Review Tuesday, Aug. 14, 2018. and ' With Facebook’s Help, Middle East Antiquities Trafficking Enters the Digital Age' World Political Review Friday, Aug. 17, 2018. The MOB's Dead Sea Scrolls Duds? Jesus’s Wife Fragment: Lessons Learnt? How Corrupt is the Antiques Trade? Where do Portable Antiquities End up?